THE BROADCAST OF an RTÉ story about Denis O’Brien’s will be delayed until at least 12 May when a full court hearing will take place. O’Brien is seeking an injunction to stop RTÉ airing a story which he says is about his private finances. 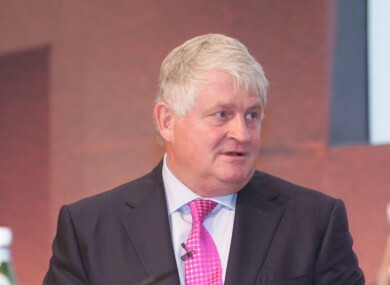 RTÉ has said that the report relates to money owed by O’Brien to IBRC. The High Court heard today that IBRC will also be seeking an injuction in relation to the report. On foot of this, the parties agreed on an adjournment until 12 May with affidavits to be submitted next week. RTÉ has undertaken that it will not broadcast of the story ahead of that date. Email “An RTÉ story about Denis O'Brien has been blocked until at least 12 May”. Feedback on “An RTÉ story about Denis O'Brien has been blocked until at least 12 May”.